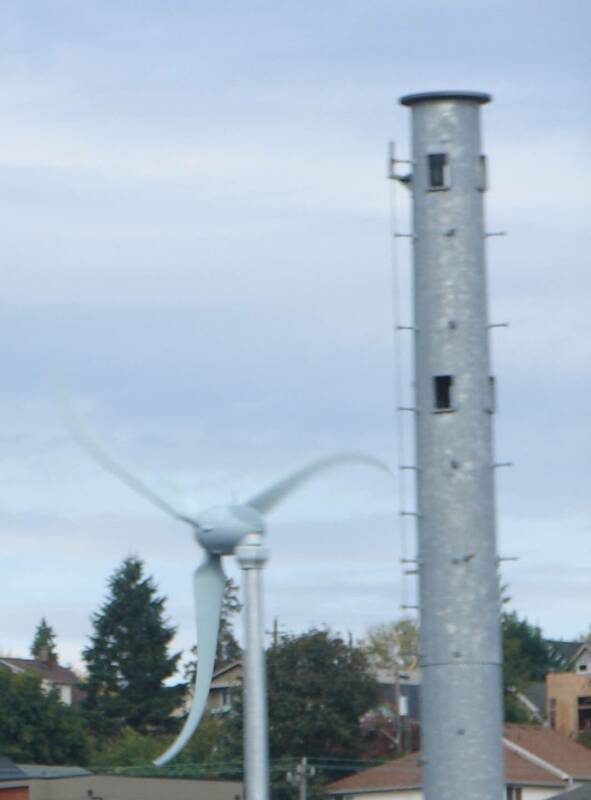 Somewhere in Seattle... A wind turbine and an exhaust stack. Where is this? 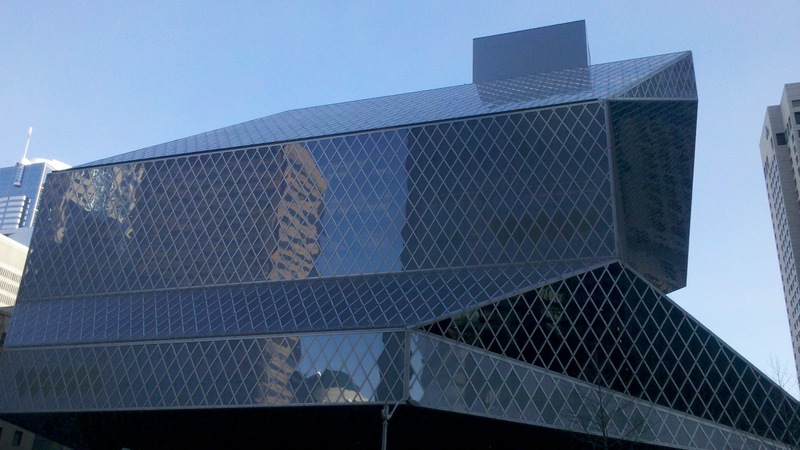 As some of you quickly identified, last week's photo was of a reflection in the windows of the downtown Seattle Public Library. The picture was, of course, taken on one of the numerous brilliantly sunny days we enjoy here in February. And please, no one tell the out-of-towners how nice our winter weather is. They might want to move here and drive up the housing prices. Haha. 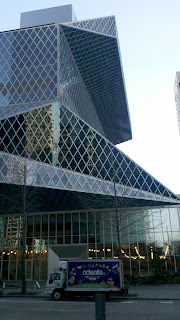 The reflection shows the Safeco Plaza building, the Hotel Monaco and the FBI Building.